Since the launch of the Sophie-I collection the blogosphere has been awash with your interpretations of the look, taking the technique and transforming it with different colourways and textures. The Sophie-I technique has set a new mark for the traditional smoky eye, a classic look with an Illamasqua twist! Nihrida developed the Sophie-I by adding teals, warm lemon yellows and deep aquas. This defining look is fierce, yet feminine! For a similar colour popping effect try pressing a little Powder Eye Shadows in Yes! onto the inner corners of the eye and applying Stalk and Anja to the outer corners before blending and fusing the colours together. 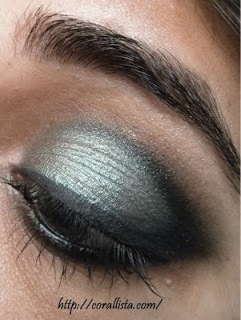 Samantha of Makeup Advice Forum shared another beautiful variation of the Sophie-I look. We love this interpretation, the shimmer of the pigments adds new depth and texture to the original Sophie-I look. A favourite in Illamasqua HQ, Pure Pigment in Ore is a must for this look. Layer over Liquid Metal in Electrum for this intense and rich golden bronze. To finish, apply Powder Eye Shadow in Jules to the socket line. Corallista’s interpretation of the Sophie-I look is steely and luxe and illustrates how versatile the smoky eye can be. 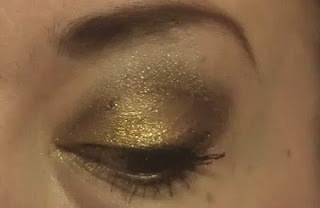 Powder Eye Shadows in Moonflower, Incubus & Soul will offer this metallic quality. Don’t forget to use our Eye Brow Cakes wet or dry to finish off the look with a statement brow. Thank you to everyone that has supported S.O.P.H.I.E with their own striking versions of the Sophie-I look. To read more about the Sophie Lancaster foundation click here. You can also support the charity buy purchasing a Sophie wristband or the Medium Pencil in Sophie.